…My tooth that had been loose for ages has just come out. Two days into Mrs Thatcher’s new government and already I was worse off. …Mrs Thatcher is back in office for another five years. She won with an overall majority of 102. Nobody expected it to be quite so big. Plaid Cymru and various Irish parties. I stayed up until 1.30am watching the BBC’s coverage. to help me stay awake. Dad stayed up a bit later than me I think, but not much. I wasn’t as tired as I thought I would be this morning. At school nobody else had stayed up to watch the election. Instead we had to write a story about a slime monster. with a delivery of paper. 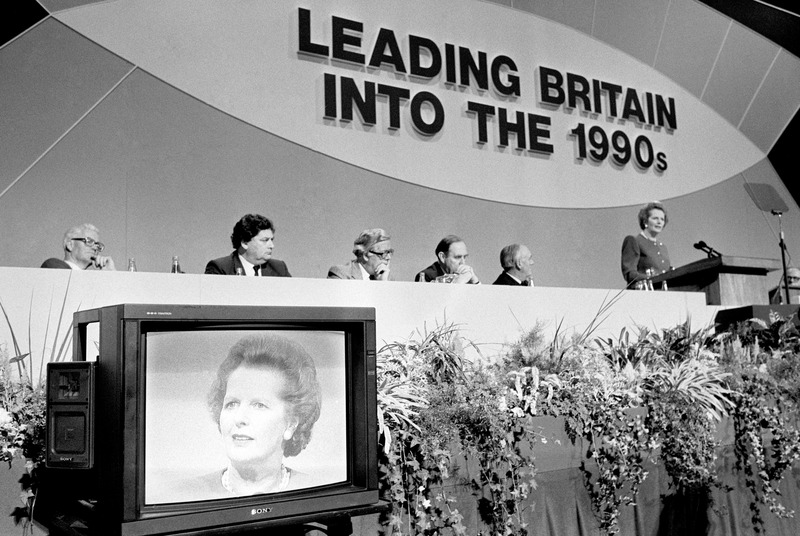 Many years later I would finally get to see, write about, and then try to sound witty about, the whole of the BBC’s 1987 election results coverage. But for now I had to make do with three hours or so on Thursday night, then half an hour during Breakfast Time, and finally the very last 10 minutes of the Friday afternoon programme, thanks to me getting home promptly from my hospital appointment. I was particularly thrilled to see Philip Schofield and Gordon the Gopher both sporting nicely-pressed suits when they followed on from David Dimbleby to introduce Children’s BBC. As I mentioned before, I didn’t really have any appreciation of what Mrs Thatcher’s victory might mean for the country in a literal sense. I had only a kind of abstract grasp of the details of her party’s policies. But this was a damn sight more than my fellow pupils, some of whom didn’t even know who the prime minister was. I know this for a fact because I tried to ask some of them about it in the playground when I arrived this morning. To be fair, I suppose their blank looks might have been a sort of affected indifference. Or maybe they’d decided to always react like that whenever I started talking to them. The election had undoubtedly proved to be a useful distraction from my continuing partial deafness. Today’s appointment with a consultant at Loughborough General Hospital would turn out to be the breakthrough and lead, within a few weeks, to my hearing problems disappearing for the rest of the century. Which was a relief, as I’d come to believe they would, like Mrs T vowed of herself, go on and on and on. …I didn’t go to school today. in Derbyshire to see the dressed wells. We left in coaches at 9.30am and were there at 10.40am. The only nice thing was the water coming out of them. Then everybody was supposed to go on a walk, but I had a nose bleed. I was told I had to stay with the infants and watch them on the swings. I then had to travel back on the coach with them, instead of with my own class. One of the infants was sick. A whole yoghurt came up. Of course my nose bleed had stopped the minute my class went off on its walk. What an educational day out…. Although not quite as mortifying as a trip to, say, a box factory, a visit to see some wells can’t have counted as one of the highlights of the school year. The ancient pagan tradition for dressing wells with flowers and other decorations apparently originated in Tissington. I don’t think anybody in our class, myself included, were old enough to appreciate the history and artistry on display. Clearly the infants weren’t. One of them made their feelings very clear on the return journey*. What a day to get another nose bleed. *No manners, but what a critic.